Flexible,shared and plug-and-play workspaces are coming up across the country, offering individuals and companies space, connectivity, even recreational infrastructure. 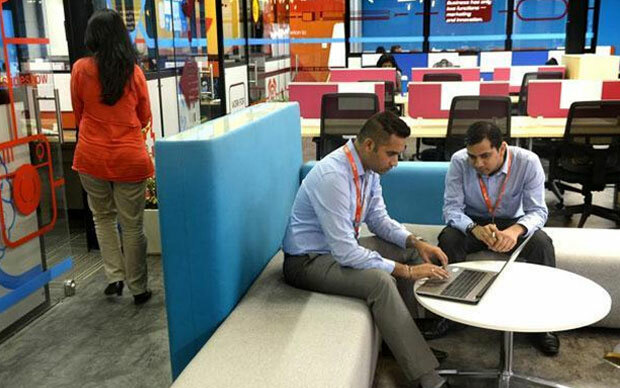 A different set of drivers are at work at Awfis Space Solutions, a year-old co-working space provider that opened two new centres in Mumbai’s Lower Parel and Andheri (West) in January and May, respectively. A former industrial shed in the now-gentrified Todi Mills in Lower Parel, Awfis leased the 10,000 sq. ft space and refurbished it. Some 210 seats are on offer in a variety of work settings spread across three floors—fixed desks, flexi-desks, closed cabins, meeting rooms as well as collaborative zones for informal conversations. Glass partitions, and bright furniture add vibrancy to the atmosphere without compromising on the centre’s professional look and feel. “It’s an office that enables me to be more disciplined than working from home, it allows me to focus on work and meet other people, with infrastructure such as conference rooms for my meetings,” says Jagrat Patel, an independent investment banker who rents a single fixed desk at Awfis every day. 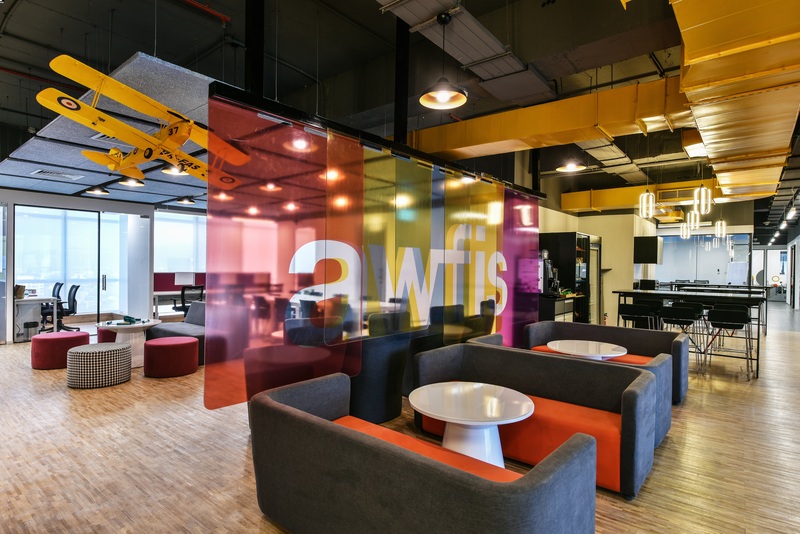 Awfis is founded and led by architecture and real estate professional Amit Ramani, whose mission is “to simplify access to quality office space by providing truly ‘just-in-time’ workspaces to create a disruptive, shared economy model that provides a superior alternative to conventional offices”. Awfis’ Lower Parel centre is an illustrative example. 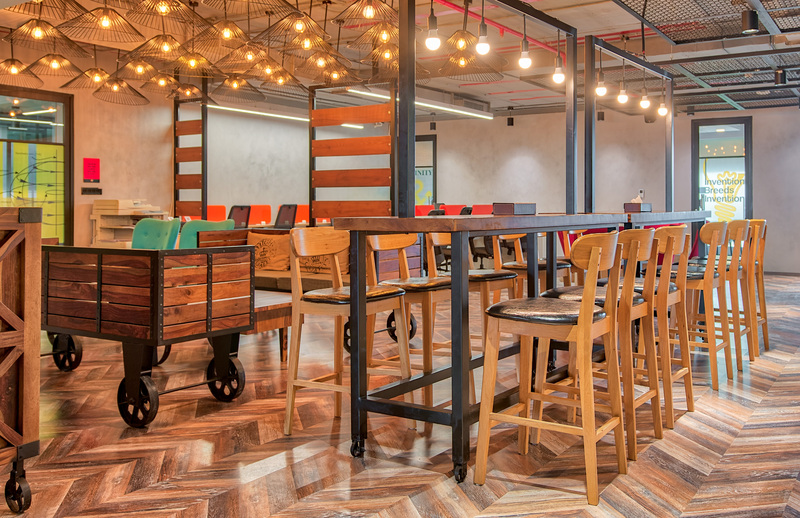 The prime location, easy accessibility, excellent recreational infrastructure and affordability make the building attractive as a co-working space, says Ramani. “Co-working is just 1% or less of the total office market today. My belief is that it will go up to four-five times (in the near future),” he says. Prices here range from Rs.5,000 for a single desk to Rs.13,000 for a shared cabin, both for a month. Suvojit Mukherjee, regional manager (south) for apparel brand Pepe Jeans, exemplifies this nascent trend. His six-member sales team operates out of a five-seater cabin at Awfis’ Bengaluru centre. “Our salespeople are always travelling, so we don’t need more space. I would need additional staff to manage an independent office; this space is very user-friendly. I looked at a corporate business centre, but it was very expensive,” says Mukherjee. Conference rooms at Awfis (in both Mumbai and Bengaluru) start at Rs.400-700 per hour, depending on the size—much more economical than their counterparts in hotels or business centres. Not every co-working space, however, is frequented for effective pricing. Ramani’s expansion plans are underpinned by two critical elements that are helping Awfis scale: “managed aggregation” models and the application of technology. To minimize risk, Ramani adopts “managed aggregation” models, where only half of the company’s current inventory is through straight leases (which can be expensive and, hence, risky for Awfis in an economic downturn). The other half operates through various types of “risk-free” partnerships with property owners, he says, including revenue-sharing arrangements and “waterfall” agreements, where there are no minimum guarantees. Technology is the other buttress, and Ramani envisages most of his bookings being done on the company’s app in the future. “You cannot be a just-in-time provider without the app. It also adds pricing transparency to bookings,” he says.